Rorty saw the idea of knowledge as a "mirror of nature" as pervasive throughout the history of western philosophy. Against this approach, Rorty advocated for a novel form of American pragmatism, sometimes called neopragmatism, in which scientific and philosophical methods form merely a set of contingent "vocabularies" which people abandon or adopt over time according to social conventions and usefulness. 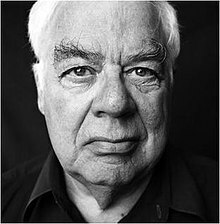 Abandoning representationalist accounts of knowledge and language, Rorty believed, would lead to a state of mind he referred to as "ironism", in which people become completely aware of the contingency of their placement in history and of their philosophical vocabulary. Rorty tied this brand of philosophy to the notion of "social hope"; he believed that without the representationalist accounts, and without metaphors between the mind and the world, human society would behave more peacefully. He also emphasized the reasons why the interpretation of culture as conversation (Bernstein 1971), constitutes the crucial concept of a "postphilosophical" culture determined to abandon representationalist accounts of traditional epistemology, incorporating American pragmatist naturalism that considers the natural sciences as an advance towards liberalism. Rorty enrolled at the University of Chicago shortly before turning 15, where he received a bachelor's and a master's degree in philosophy (studying under Richard McKeon), continuing at Yale University for a PhD in philosophy (1952–1956). He married another academic, Amélie Oksenberg (Harvard University professor), with whom he had a son, Jay, in 1954. After two years in the United States Army, he taught at Wellesley College for three years until 1961. Rorty divorced his wife and then married Stanford University bioethicist Mary Varney in 1972. They had two children, Kevin and Patricia. While Richard Rorty was a "strict atheist" (Habermas), Mary Varney Rorty was a practicing Mormon. Rorty's doctoral dissertation, The Concept of Potentiality was an historical study of the concept, completed under the supervision of Paul Weiss, but his first book (as editor), The Linguistic Turn (1967), was firmly in the prevailing analytic mode, collecting classic essays on the linguistic turn in analytic philosophy. However, he gradually became acquainted with the American philosophical movement known as pragmatism, particularly the writings of John Dewey. The noteworthy work being done by analytic philosophers such as Willard Van Orman Quine and Wilfrid Sellars caused significant shifts in his thinking, which were reflected in his next book, Philosophy and the Mirror of Nature (1979). Views like this led Rorty to question many of philosophy's most basic assumptions—and have also led to him being apprehended as a postmodern/deconstructionist philosopher. Indeed, from the late 1980s through the 1990s, Rorty focused on the continental philosophical tradition, examining the works of Friederich Nietzsche, Martin Heidegger, Michel Foucault, Jean-François Lyotard and Jacques Derrida. His work from this period included: Contingency, Irony, and Solidarity (1989); Essays on Heidegger and Others: Philosophical Papers (1991); and Truth and Progress: Philosophical Papers (1998). The latter two works attempt to bridge the dichotomy between analytic and continental philosophy by claiming that the two traditions complement rather than oppose each other. After rejecting foundationalism, Rorty argues that one of the few roles left for a philosopher is to act as an intellectual gadfly, attempting to induce a revolutionary break with previous practice, a role that Rorty was happy to take on himself. Rorty suggests that each generation tries to subject all disciplines to the model that the most successful discipline of the day employs. In Rorty's view, the success of modern science has led academics in philosophy and the humanities to mistakenly imitate scientific methods. Philosophy and the Mirror of Nature popularized and extended ideas of Wilfrid Sellars (the critique of the Myth of the Given) and Willard Van Orman Quine (the critique of the analytic–synthetic distinction) and others who advocate the Wittgensteinian doctrine of "dissolving" rather than solving philosophical problems. In Contingency, Irony, and Solidarity (1989), Rorty abandons specifically analytic modes of explication in favor of narrative pastiche in order to develop an alternative conceptual vocabulary to that of the "Platonists" he rejects. This schema is based on the belief that there is no worthwhile theory of truth, aside from a non-epistemic semantic one (as Donald Davidson developed out of the work of Alfred Tarski). Rorty suggests that the task of philosophy should be distinguished along public and private lines. Private philosophers, who provide one with greater abilities to (re)create oneself, a view adapted from Nietzsche and which Rorty also identifies with the novels of Marcel Proust and Vladimir Nabokov, should not be expected to help with public problems. For a public philosophy, one might turn to Rawls or Habermas. Rorty is among the most widely discussed and controversial contemporary philosophers, and his works have provoked thoughtful responses from many other well-respected figures in the field. In Robert Brandom's anthology, entitled Rorty and His Critics, for example, Rorty's philosophy is discussed by Donald Davidson, Jürgen Habermas, Hilary Putnam, John McDowell, Jacques Bouveresse, and Daniel Dennett, among others. In 2007, Roger Scruton wrote, "Rorty was paramount among those thinkers who advance their own opinion as immune to criticism, by pretending that it is not truth but consensus that counts, while defining the consensus in terms of people like themselves." Ralph Marvin Tumaob concludes that Rorty was really influenced by the notion of Jean-François Lyotard's Metanarratives, and by this he further added that "postmodernism was influenced further by the works of Rorty". John McDowell is strongly influenced by Rorty, particularly by Rorty's Philosophy and the Mirror of Nature (1979). In continental philosophy, authors such as Jürgen Habermas, Gianni Vattimo, Jacques Derrida, Albrecht Wellmer, Hans Joas, Chantal Mouffe, Simon Critchley, Esa Saarinen, and Mike Sandbothe are influenced in different ways by Rorty's thinking. American novelist David Foster Wallace titled a short story in his collection Oblivion: Stories "Philosophy and the Mirror of Nature", and critics have attributed some of Wallace's writings on Irony to Rorty. Although Rorty was an avowed liberal, his political and moral philosophies have been attacked by commentators from the Left, some of whom believe them to be insufficient frameworks for social justice. Rorty was also criticized by others for his rejection of the idea that science can depict the world. One criticism, especially of Contingency, Irony, and Solidarity is that Rorty's philosophical 'hero', the ironist, is an elitist figure. Rorty claims that the majority of people would be "commonsensically nominalist and historicist" but not ironist. These people would combine an ongoing attention to the particular as opposed to the transcendent (nominalism), with an awareness of their place in a continuum of contingent lived experience alongside other individuals (historicist), without necessarily having continual doubts about the resulting worldview as the ironist does. An ironist is someone who: 1) "has radical and continuing doubts about their final vocabulary"; 2) "realizes that argument phrased in their vocabulary can neither underwrite nor dissolve these doubts"; and 3) "does not think their vocabulary is closer to reality than others" (all 73, Contingency, Irony, and Solidarity). On the other hand, the Italian philosopher Gianni Vattimo alongside the Spanish philosopher Santiago Zabala in their 2011 book Hermeneutic Communism: from Heidegger to Marx affirm that "together with Richard Rorty we also consider it a flaw that 'the main thing contemporary academic Marxists inherit from Marx and Engels is the conviction that the quest for the cooperative commonwealth should be scientific rather than utopian, knowing rather than romantic.' As we will show hermeneutics contains all the utopian and romantic features that Rorty refers to because, contrary to the knowledge of science, it does not claim modern universality but rather postmodern particularism." Philosophy and the Mirror of Nature. Princeton: Princeton University Press, 1979. Essays on Heidegger and Others: Philosophical Papers II. Cambridge: Cambridge University Press, 1991. Truth and Progress: Philosophical Papers III. Cambridge: Cambridge University Press, 1998. Mind, Language, and Metaphilosophy: Early Philosophical Papers Eds. S. Leach and J. Tartaglia. Cambridge: Cambridge University Press, 2014. ISBN 978-1107612297. Philosophy and Social Hope. New York: Penguin, 2000. Against Bosses, Against Oligarchies: A Conversation with Richard Rorty. Chicago: Prickly Paradigm Press, 2002. ^ Marchetti, Giancarlo. "Interview with Richard Rorty." Philosophy Now Volume 43, Oct.–Nov. 2003. ^ Ryerson, James. "Essay: Thinking Cheerfully." The New York Times Book Review. July 22, 2007: p. 27. ^ In the preface to Mind and World (pp. ix–x) McDowell states that "it will be obvious that Rorty's work is ... central for the way I define my stance here". ^ Howard, Jennifer. "The Afterlife of David Foster Wallace". Chronicle of Higher Education. Retrieved 30 December 2013. ^ Susan Haack (November 1997). "Vulgar Rortyism". New Criterion. ^ Haack, Susan (1993). "Ch. 9: Vulgar Pragmatism: an Unedifying Prospect". Evidence and Inquiry. Oxford UK: Blackwell. ISBN 978-0631118510.